This is one of the most important works by the most important American philosopher: Henry David Thoreau, vital figure in the Transcendentalist movement, hero to environmentalists and ecologists, profound thinker on humanity's happiness. 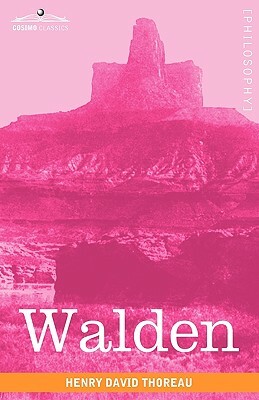 First published in 1854, Walden collects the penetrating reflections from the two years Thoreau lived in solitude on the shores of Massachusetts' Walden Pond. In lucid, poetic prose, Thoreau ponders the beauty of living simply and in communion with nature. It is a work of pastoral magnificence and wisdom that has moved generations of readers. Writer and philosopher HENRY DAVID THOREAU (1817-1862) was born in Concord, Massachusetts, and educated at Harvard University. His writings on human nature, materialism, and the natural world rank him among the most influential thinkers of American literature.